Need Answers For Workplace Ergonomic Issues? Contact Ethiam. Office Ergonomics / Workstation Evaluations and DesignErgonomics Assessments reduce instance of work-related injuries and illness, chronic pain and promote productivity, workplace safety and compliance. Services include recommendations and installation of appropriate desks, chairs, keyboards, and more. In-House Injury PreventionChronic back pain alone impacts more than 10% of the workforce. Every $1 spent on prevention averages $3-$6 in savings. 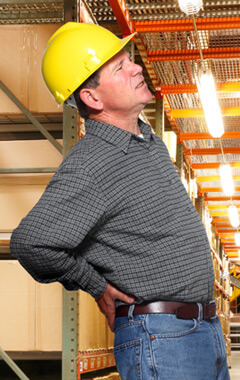 Set up your workplace to prevent injuries and reduce costs and liabilities. Industrial Ergonomics and SafetyWorkplace set up fully determines success of your business and safety of your workforce. Services range from Walk-through Assessments to full long term Ergonomic Studies aimed to boost productivity and prevent injuries. Customized ergonomics reporting and workplace design recommendations. 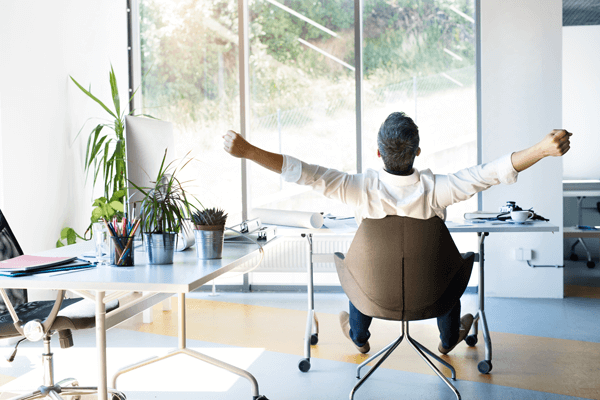 Ergonomics for Productivity and EfficiencyOur Ergonomics Specialists can assist with identifying inefficiencies and optimize your business work flow. Proper workplace processes can optimize production, decrease loss of productivity, speed up processing and increase your bottom line. Ergonomics for Healthcare Cost ReductionCompanies who use our Ergonomics Services see as much as 80% reduction in medical costs over time, as well as reduced illness/injury-related liabilities. Ergonomics Support ServicesOngoing partnership with our clients allows for continuous support of their safety and prevention initiatives. Our Ergonomics Certified Professionals assist to maintain work place set up and compliance on-ongoing basis. This ensures that new hires and promoted employees operate in safe and ergonomically correct environment. Our Team of Certified ErgonomistsAll our Industry Certified Ergonomists are direct employees of Ethiam Corporation. They have backgrounds in kinesiology, body mechanics, injury prevention, and rehabilitation. They will travel to your work site when and where you need them. Ergonomics solutions transform your work environment into a safer place, meaning increased productivity and decreased spending on healthcare related costs. Ethiam changes the way you operate and makes you more efficient. Ethiam provides integrated ergonomics solutions to enhance your workplace environment, turning it from a liability into a great tool for increasing productivity and cost savings. Whether you are looking to ensure your space is OSHA compliant, or just looking for ways to increase morale and retain great employees, we have a program tailored to your needs! Not sure which service is right for you? Let our ergonomics experts at Ethiam know your goals, and we will start working on a program today! Software based assessment can't match the Ethiam advantage. It's not just about today- it's the long term follow up and relationship that make the difference.